Redarc Battery Charger and Battery Management System BMS - 12 Volt Technology. Redarc have an extensive range of Battery Chargers and Battery Management systems BMS designed to give you state of the art technology in charging and battery maintenance. If you need dual battery charging, DC to DC charging even 24V systems, Redarc has you covered. The range of chargers includes the BMS1215S2, BMS1230S2, BMS1215S3, BCDC1206, BCDC1220, BCDC1220-IGN, BCDC1225, BCDC1225-LV, BCDC1240, BCDC1240-LV, BCDC2420 and others. 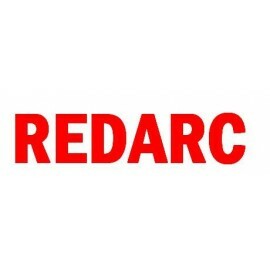 So if you are looking at a quality designed, reliable 12 Volt Battery charger for your Car, Truck, Bus, Caravan, Motorhome, 4WD or Boat then check out what Redarc has to offer. Redarc Chargers There are no products in this category.